What’s the first thing that comes to mind when you think of an orthodontist? Chances are, it’s braces. 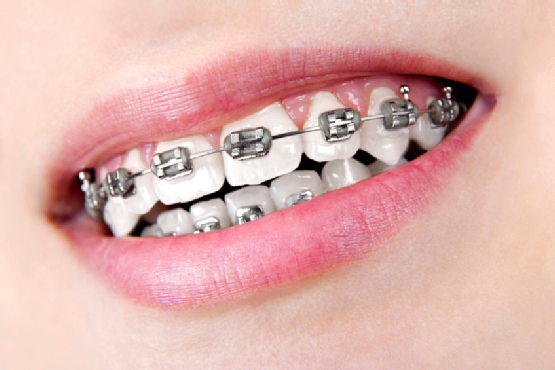 If you haven’t visited an orthodontic office (or a middle school) lately, you may be picturing the silvery metal brackets that run straight across an adolescent’s smile. However, orthodontists do much more than place those traditional braces on the teeth; braces themselves don’t necessarily look like they used to (in fact, you may have trouble seeing them at all); and more and more of today’s orthodontic patients aren’t adolescents. The practice of orthodontics is concerned with correcting teeth and jaws that are out of position, don’t close properly, or don’t look the way you’d like them to. There are about 8,000 orthodontists currently practicing in the United States, and their field—formally known as Orthodontics and Dentofacial Orthopedics—is one of the nine dental specialties recognized by the American Dental Association (ADA). In order to become an orthodontist, a candidate must graduate from an accredited dental school, and then complete at least two years of additional training in the diagnosis, prevention, interception, and correction of bite problems, as well as neuromuscular and skeletal abnormalities of the developing or mature orofacial structures (“oro” = mouth, “facial” = face). Many orthodontists are also recognized by state boards and professional organizations. Orthodontists are experts at treating bite problems, or malocclusions (“mal” = bad, “occlusion” = bite). These can include teeth that are crooked (misaligned) or crowded (too close together, due to insufficient space in the jaw). Malocclusions can also result when the upper and lower jaws don’t fit together as they should, whether from premature loss of the baby teeth, developmental abnormalities, or other causes. To help people get a better and more functional bite, orthodontists use a variety of appliances including braces, clear aligners, and removable appliances. All of this “hardware” may sound complicated, but it has been carefully designed to exert gentle, steady pressure on the teeth—just enough to move them into better positions in the jaw. Because of their expertise in jaw growth and development, orthodontists may also employ devices such as palatal expanders and headgear as part of an overall treatment plan. These devices help guide a child’s growing jaw in a way that can prevent more complex orthodontic problems down the road. Orthodontists are “hands-on” dentists, often making adjustments to wires, elastics, appliances, or other items each time you visit during the course of your treatment—which typically lasts around 18 to 30 months. Fortunately, however, orthodontic appliances are well tolerated by virtually all patients, and rarely cause more than temporary minor discomfort. The general answer is, whenever you have a concern about crowded or crooked teeth, bite problems, or other issues that relate to the alignment of the teeth and jaws. You don’t generally need a referral to make an appointment for an orthodontic consultation. In some instances, however, your general dentist may recommend that you see an orthodontist for a particular problem. There are many reasons to seek orthodontic treatment. One is: if you feel your teeth are crooked, misaligned or otherwise less than perfect, making you hesitant to smile or self-conscious in social situations. Another is: if you’re having trouble chewing or speaking or your jaws don’t seem to close properly. Still another is to restore your teeth to proper appearance and function after trauma, or to help a dentist give you that perfect smile with porcelain veneers. Most people find that the results of orthodontic treatment are noticeably pleasing. As part of a smile makeover, orthodontics can indeed seem to work magic. But improved aesthetics isn’t the only benefit of treatment: Teeth with proper spacing and alignment are much easier to clean—and the ability to maintain good oral hygiene is the best way to keep your teeth looking great… forever. So orthodontics can be a good long-term investment in your smile’s appearance and your oral health. Great piece and thank you sharing these tips. I had braces as a kid and usually found it helpful to avoid sticky foods, such as gummies. Also, utilize a waterpick to get all of the food removed from your braces. Amazing piece and thank you sharing these tips. I had braces as a child and usually found it useful to shun chewy foods, such as licorice. Also, use a waterpik to get all of the food removed from your teeth.